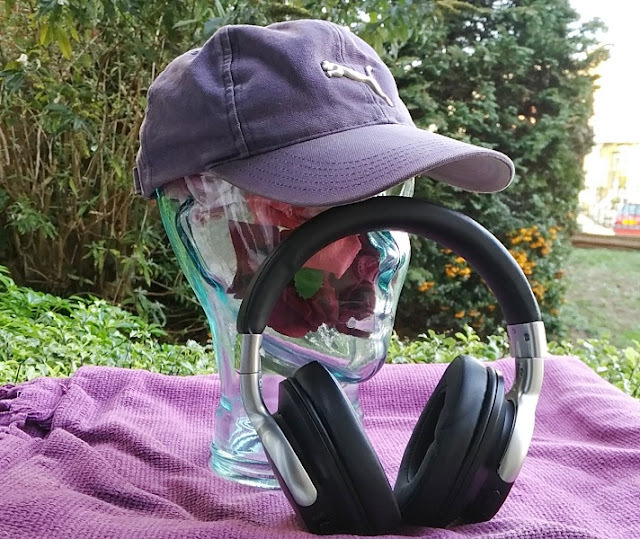 Headphones are great for drowning out all sorts of noises like building work, noisy neighbors and music played in the gym so you can listen to your own music playlist! 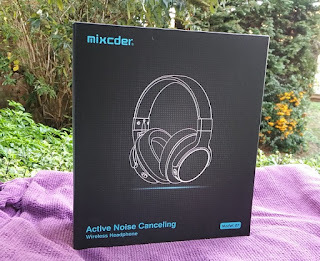 The active noise cancellation feature in the Mixcder E7 headphones really helps bringing background noise down (up to 20dB noise reduction) which is good enough if you plan to use them as noise cancelling ear muffs for lowering the background noise to a hum without music playing in your headphones. 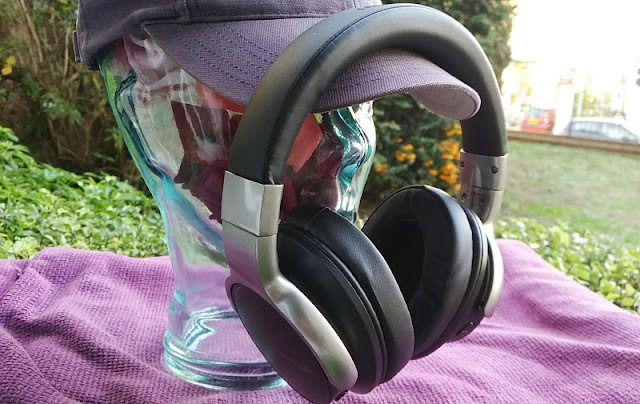 With that said, like all noise canceling headphones you can expect a certain amount of noise to leak in particularly variable high frequencies like people chatter and a baby crying so you will still need to play music loud if you want to completely block people talking around you. As far as sound leakage, there is next to no sound leaking out that someone can hear 3 feet away from you. 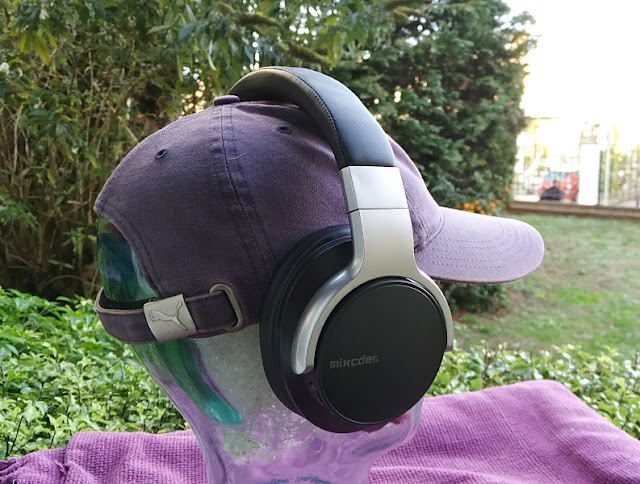 The built-in rechargeable lithium battery has very good capacity (400mAh) enough to power the Mixcder E7 headphones for 20 hours on medium/high volume with active noise cancellation turned off and up to 17 hours with active noise cancellation turned on. And from a single 2 hour charge. 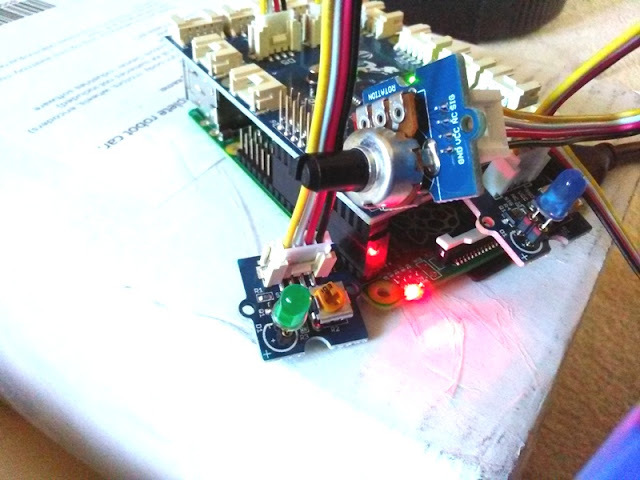 The status indicator LED turns solid red while charging and when the battery is fully charged the LED turns off. 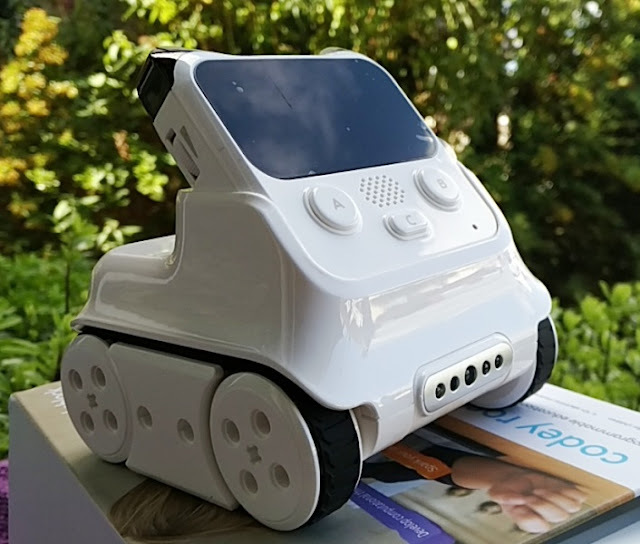 Standby time is 2000 hours so the battery is able to hold a charge for almost 3 months which is very good. You can skip songs by short pressing the volume buttons and skip tracks by long pressing the volume buttons. 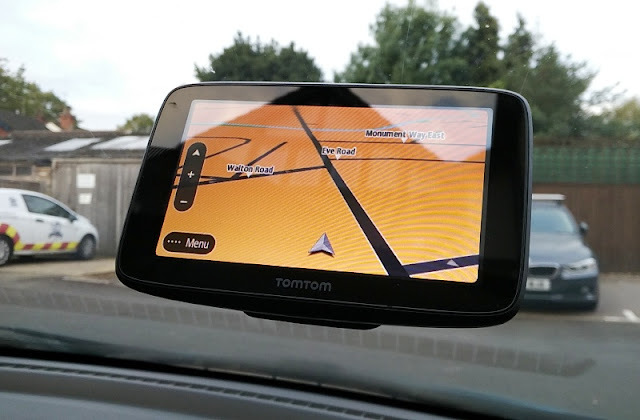 The power button plays and pauses the audio. 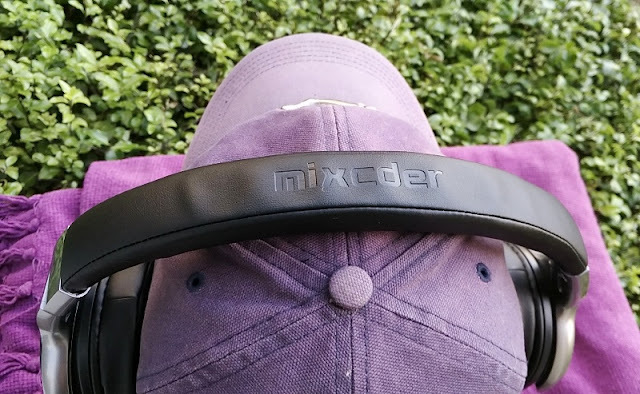 The Mixcder E7 headphones also have a 3.5mm audio jack built-in to them so you can connect them via wired audio cable to any 3.5mm audio port like a smartphone or digital audio player. 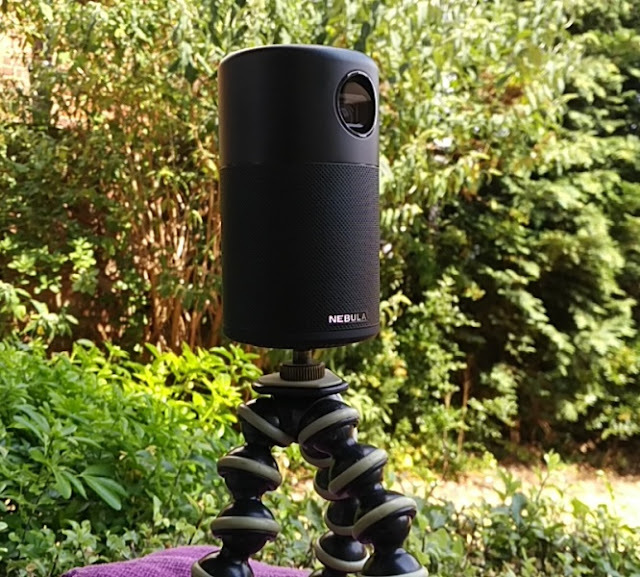 The built-in microphone has very good sensitivity and pickup pattern (omnidirectional) for hands-free calling so your voice gets picked up clearly at the other end of the call. 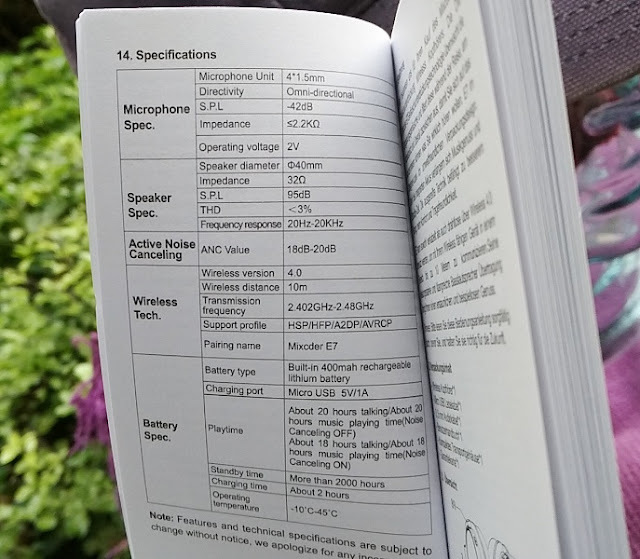 There is no nose cancelling integration in the mic so any loud background noise will be picked up to. 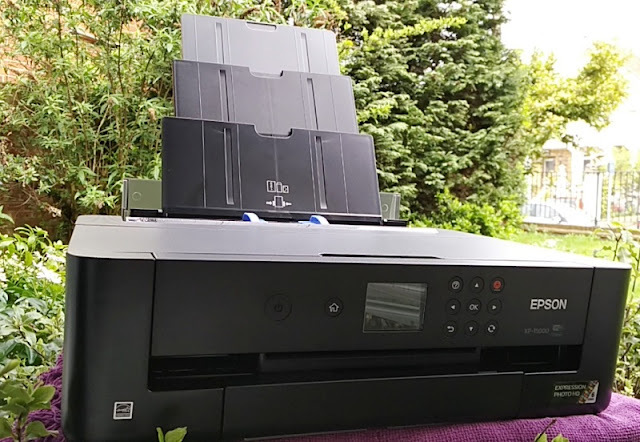 The bluetooth 4.0 signal is strong so it provides stable wireless connection without chopping sound within a range of 10 meters in direct line of sight. 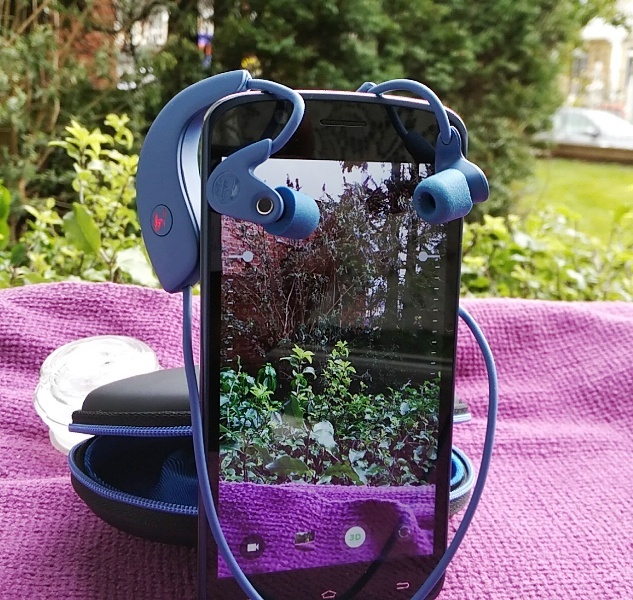 The Mixcder E7 headphones support all bluetooth profiles, including HSP (Handset Profile) and HFP (Hands Free Profile), A2DP and AVRCP. 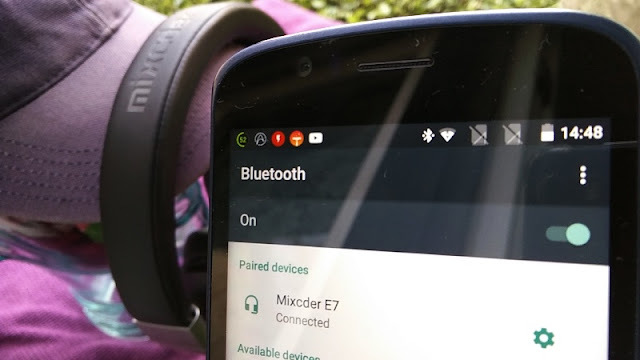 Speaking of bluetooth, you can only pair the E7 headphones to one device at a time as the E7 don't support multipoint pairing. 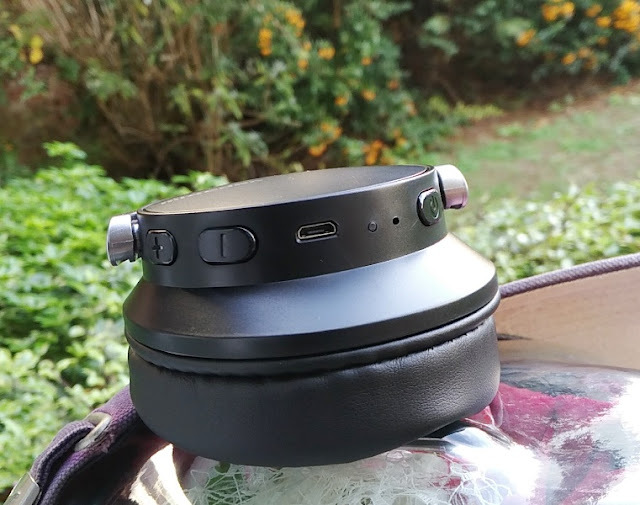 The Mixcder E7 headphones also don't feature the "shareme" feature you get with the Shareme 7 headphones and Shareme 5 headphones. 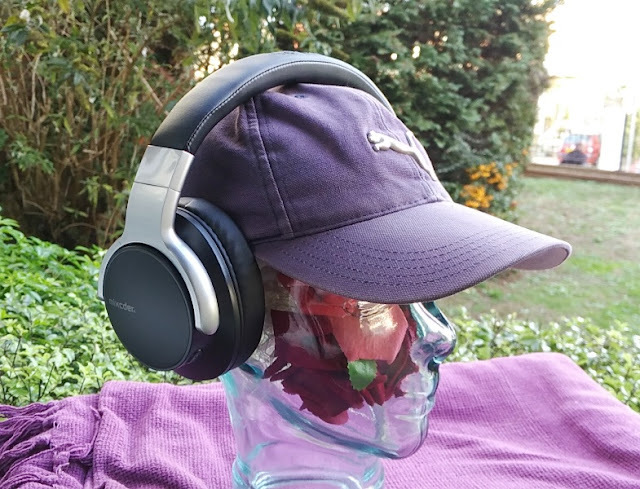 The A2DP bluetooth profile delivers wireless audio via the default SBC codec that most headphones use which is MP3-like sound quality (aprox. 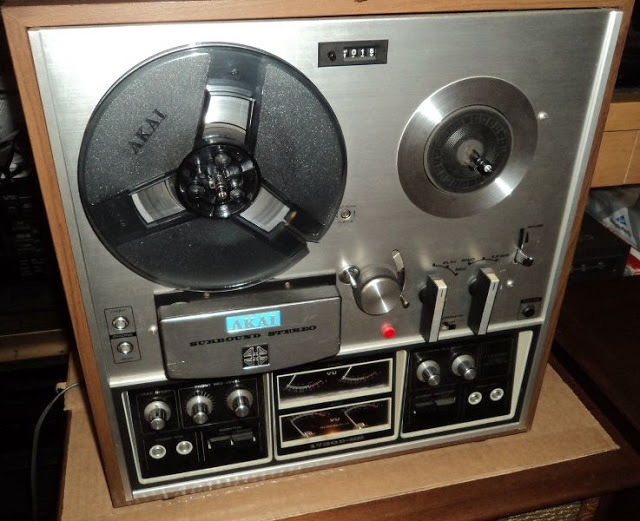 256kbit/s) which is good provided that the audio you listen to uses an already compressed audio format like MP3, AAC, or ATRAC which doesn't require re-encoding. 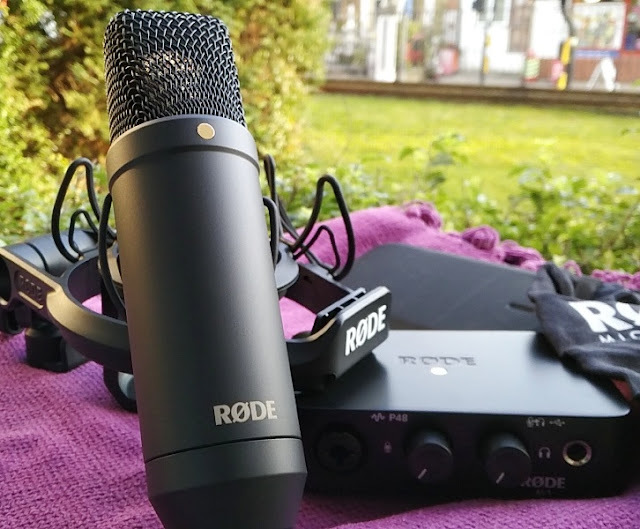 If the audio source is uncompressed, it will be re-encoded to SBC; making the sound quality not as good. 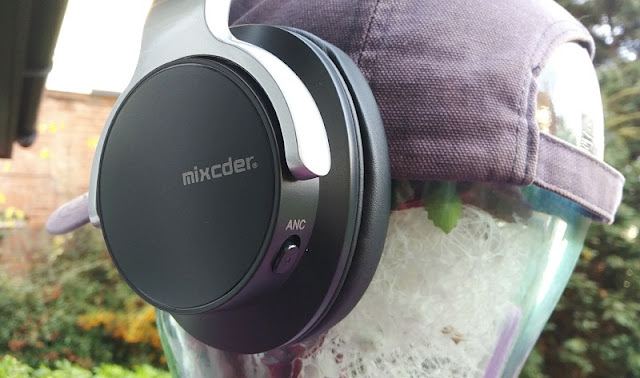 The Mixcder E7's overall sound quality is big thanks to large 40mm speaker drivers with a flat sounding (20Hz-20kHz) response that deliver powerful deep bass and clean treble sound. 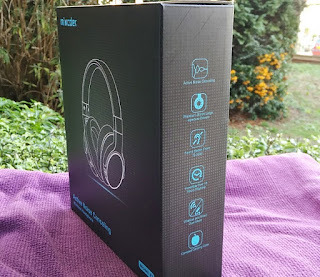 The Mixcder E7 headphones are suitable for general music listening, watching TV and playing video games as there is no noticeable lag/delay so the sound and video are in sync. 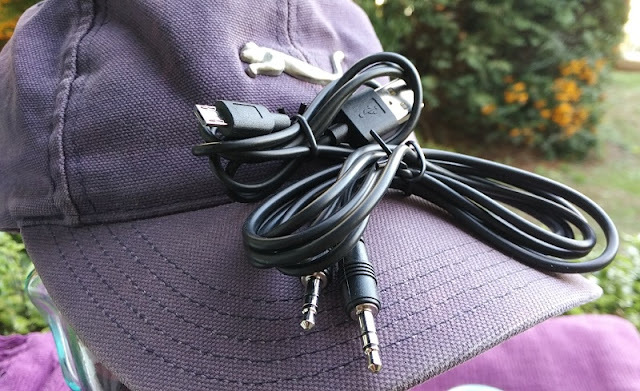 Bear in mind though, that the audio cable provided does not come with a microphone and you can only use the headphone's built-in mic in Bluetooth mode. 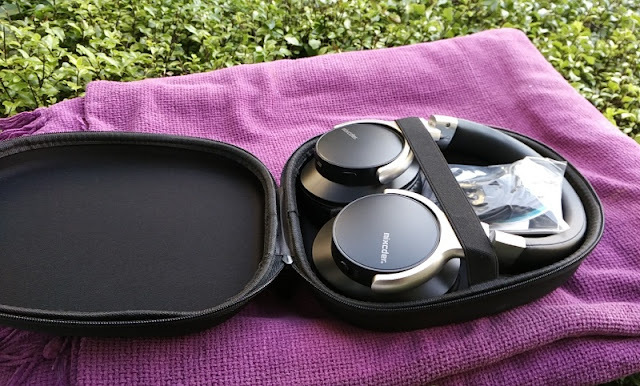 Along with the Mixcder E7 headphones, you get a 1.5meter long audio cable, a micro USB charging cable, a 9-inch by 7-inch hard-shell zipper case, a user manual and a 12-month warranty card. 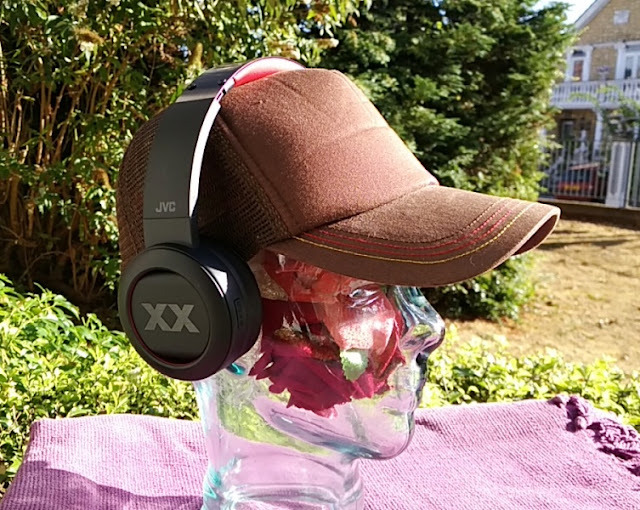 The metal adjustable headband has soft padding cushioning for the top of the head as well as theword Mixcder embroidered on the top. 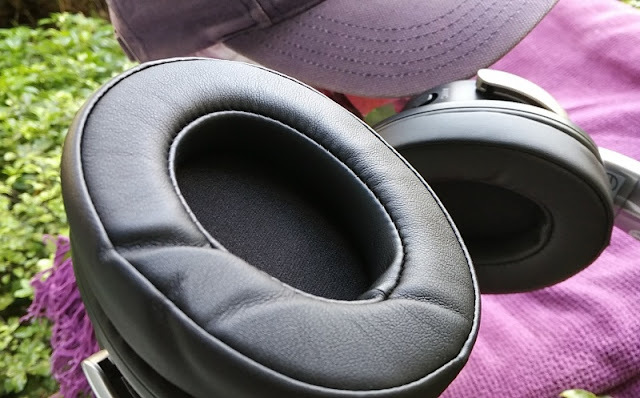 The headband has low clamping force which makes wearing the E7 headphones easily for hours. 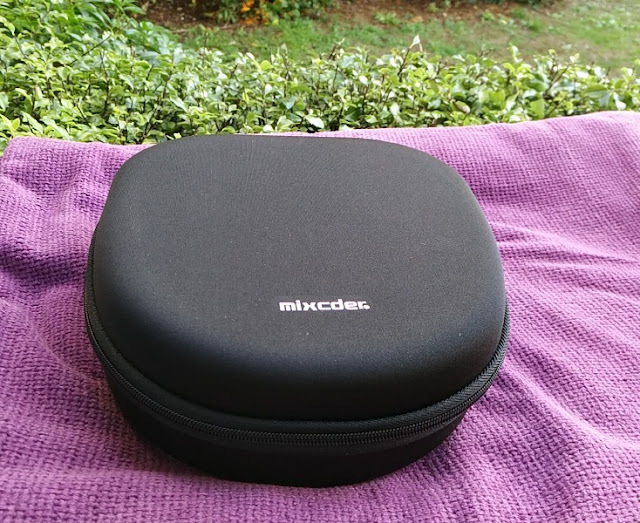 The Mixcder E7 weight is only 268 grams which is relatively lightweight for over ear headphones. 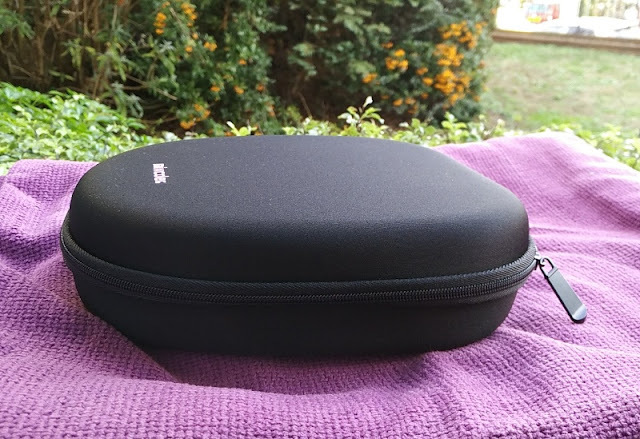 The wide opening earcups (internal dimensions are 6cm high and 4.2cm wide) have soft padding wrapped around PU leather material. 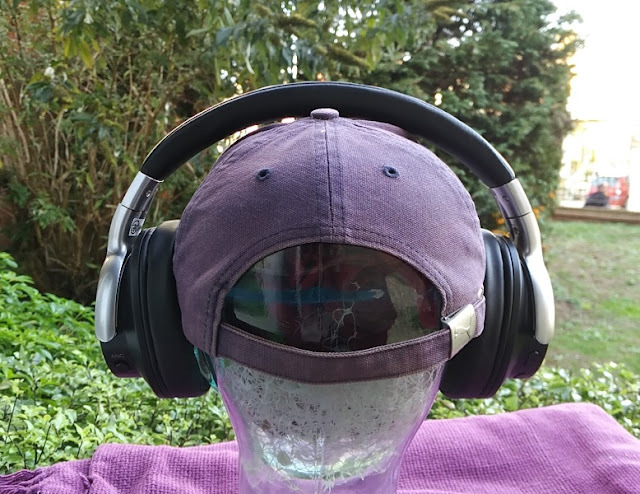 The earcups tilt forward and back, as well as swivel on their axis 90 degrees so you can fold the earcups flat for transportation.